Do you want to build your Online Reputation? Learn how Long Island Online Reputation Agency can help you to build your positive online reputation. If you checked out our latest blog post then you’re familiar with why it’s important to manage your online reputation. But, before you have a reputation to manage, how do you obtain one in the first place? An online reputation isn’t established overnight – not even a negative one. In order to build a reputation worthy of increasing your SEO and driving traffic to your website, some work will need to be done. We’ve discussed the significance of a reputation management, now it’s time to talk about laying the foundation for your status on the digital landscape. Today’s blog post will take you through the necessary steps in establishing a positive online reputation for yourself as well as your business. Just like with everything else, content makes a difference. Sites that possess little or no content are doomed to be negatively perceived by its visitors. People visit websites to learn, read, watch, engage, and share. All of these things are virtually impossible without the use of content. Whether they’re videos, blog posts, podcasts, or infographics, you need some form of content on your website that your audience can interact with. Keep in mind that whatever content you post must also be of quality as well. Your content has to be relevant to your business or industry or else your audience will lose interest and leave. One the fastest ways to build a positive reputation is providing content that people can use and enjoy. By adding fun and engaging videos, blog posts, and infographics to your website, the word is sure to spread fast about your business. Customer reviews can make or break a business. Displaying weak customer service will lead people to vent their frustrations about your business online. Nothing scares away a potential customer faster than a one-star rating on Yelp, especially if it’s followed by a short article detailing how poorly they were treated. This may sound ironic but your online reputation is actually started offline. How you treat customers or clients in person can reflect what they post about you later. I don’t need to tell you to always display excellent customer service but encourage them to leave feedback as well. If they enjoyed their experience, kindly ask them to leave a review on Yelp or Google. Not only will this boost your reputation but it will also be the first thing someone sees when they search for your business. You can’t have a reputation without the opinions of others. Just make sure that their comments are positive. Not on social media yet? Well, I don’t know what you’re waiting for as it’s one of the main factors holding your back. In order to obtain an online reputation, you’re going to need an online presence and guess where that starts. Correct, social media. Whether it’s a Facebook, Twitter, or an Instagram page, your business should have some sort of online social following. In addition to posting content and funneling traffic to your website, social media also allows you to speak directly to your audience. You can leave comments on a customer’s page, promote a contest or sale you’re hosting, and even respond to consumer complaints. Having a direct line of communication between you and your audience is the best way to ensure they remain happy and continue to say good things about your business. When potential customers look up your business, one of the first things they look for is your social media channels. Social media provides credibility and an outlet to express your brand’s voice: two things necessary for building an online reputation. Believe it or not but your reputation can hinder on how fast you are able to spread news regarding your business. In the event that someone complaints about your business, you need to reach out and solve the issue immediately in order to prevent it from harming your reputation. Keep a close eye on customer reviews and social media. In addition to this, practice writing press releases as a way to quickly distribute news to the necessary outlets. Many businesses have had their reputation tarnished due to their inability to react fast enough to negative press. If you’re quick enough, you can potentially squash bad news before it even gets out. On the other hand, be sure to report anything positive about your business. It’s your job to show your audience that you’re an establishment that can be trusted and relied upon. When some types your business into Google, an entire page worth of content, articles, news, and reviews can pop up. Make sure that it’s all positive. 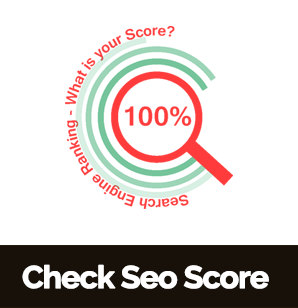 Building an online reputation is one of the key requirements in driving traffic to your site and increasing your overall SEO score. No one wants to check out a business with a poor reputation. By staying ahead of the game, communicating with your audience, and delivering news to where it needs to be, people will be talking about your business in no time.